A suspect has been arrested in a case where a 12-year-old girl with a knife fended off a burglar, Lake Wales police said Wednesday. About 9:30 a.m. July 2, police were called to a home in the 300 block of D Street, where the victim told them she woke up and saw a man was behind her dresser trying to unplug her TV. When she asked him what he was doing, she said he replied, "My uncle told me to get my phone," then left. She said she walked out the front of the house and saw the suspect, who tried to talk with her, but she went back inside and saw the kitchen window was shattered. She then grabbed a knife and went to get help. 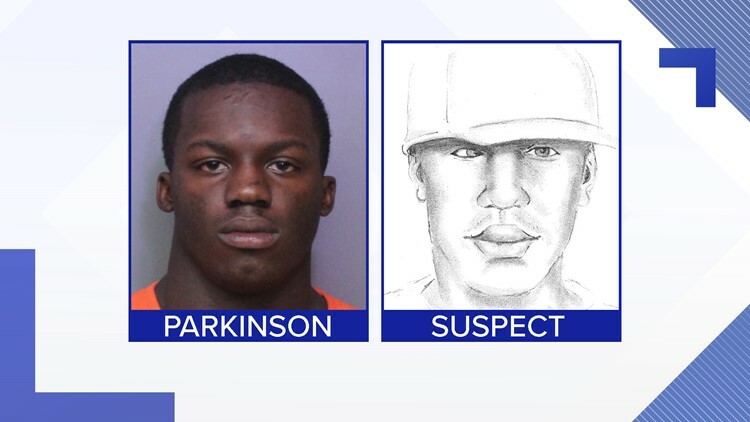 The victim helped police work up a sketch of the suspect. On Wednesday, police arrested Marvell Mario Parkinson, 19, after matching his fingerprints to those found at the scene. Police also found shoes at Parkinson's home that matched those described by the victim. Shoeprints at the scene also matched the shoes. Police say Parkinson did not speak with police after the arrest. Parkinson was arrested last year for grand theft auto, burglary to a dwelling, burglary to an unoccupied structure, criminal mischief, petit theft and resisting arrest, police said.